1. Aloff, Mindy. Dance Anecdotes: Stories from the Worlds of Ballet, Broadway, the Ballroom, and Modern Dance. New York: Oxford University Press, 2006. Print. 2. Amen, Melissa. “The Native American Ghost Dances.” The Dr. Quinn Times. The DQ Times, n.d. Web. 23 Dec. 2015. 3. Ballet 422. Dir. Jody Lee Lipes. Perf. Justin Peck. Magnolia Pictures, 2015. Film. 4. Buchanan, Cathy Marie. The Painted Girls. New York: Riverhead Books, 2013. Print. 5. “Bulling Through.” Flesh and Bone. Writ. Moira Walley-Beckett. Dir. David Michod. Sarah Hay. Starz. Starz Inc., Meridian, 11 Nov. 2015. Television. 6. “Cathy Brings It On!” Dance Moms. Abby Lee Miller, Mackenzie Ziegler. Hearst Corporation and Walt Disney Company. Lifetime Entertainment Services, New York, 13 Sept. 2011. Television. 7. “Cheerleader Blues.” Dance Moms. Abby Lee Miller, Mackenzie Ziegler. Hearst Corporation and Walt Disney Company. Lifetime Entertainment Services, New York, 27 July 2011. Television. 8. Copeland, Misty. Life in Motion: An Unlikely Ballerina. New York: Touchstone, 2014. Print. 9. Crisp, Clement. “Homage to Galina Ulanova, Bolshoi Theatre, Moscow.” Financial Times. The Financial Times LTD, 20 May 2005. Web. 6 Dec. 2015. 10. Dance for Me. Dir. Katrine Philp. Perf. Egor Kondratkenko and Mie Lincke Funch. Starz Media, 2015. Film. 11. “Dying to Dance.” Dance Moms. Abby Lee Miller, Mackenzie Ziegler. Hearst Corporation and Walt Disney Company. Lifetime Entertainment Services, New York, 17 Aug. 2011. Television. 12. Eaves, Elisabeth. Bare: The Naked Truth About Stripping. Emeryville: Seal Press, 2004. Print. 13. First Position. Dir. Bess Kargman. Perf. Michaela DePrince, Miko Fogarty. First Position Films, 2012. Film. 14. “From Ballerinas to Show Girls.” Dance Moms. Abby Lee Miller, Mackenzie Ziegler. Hearst Corporation and Walt Disney Company. Lifetime Entertainment Services, New York, 7 Sept. 2011. Television. 15. 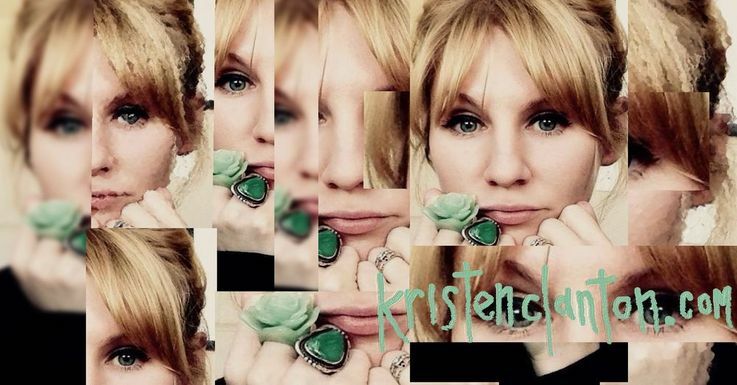 "Gelsey Kirkland: Speaking from the Heart." Dance Magazine. Ed. Jennifer Stahl. DanceMedia LLC, 25 July 2007. Web. 6 Dec. 2015. 16. Graham, Martha. Blood Memory. New York: Doubleday, 1991. Print. 17. Hamilton, Jennifer. “The Dance Revolution in the World of Jane Austen.” The Jane Austen Society of North American: Nebraska Region. W. Dale Clarke Library, Omaha. 12 Dec. 2015. Lecture. 18. Herod, Kena. “Gene Kelly, My Sore Eyes Look to You: An Expatriate American Considers an American Dancer and Icon.” Maisonneuve. Ed. Daniel Viola. Maisonneuve, 18 Jan. 2005. Web. 8 Dec. 2015. 19. Howrey, Meg. The Cranes Dance. New York: Vintage Books, 2012. Print. 20. “It All Ends Here.” Dance Moms. Abby Lee Miller, Mackenzie Ziegler. Hearst Corporation and Walt Disney Company. Lifetime Entertainment Services, New York, 28 Sept. 2011. Television. 21. Kent, Allegra. “To Toss or Not to Toss: Allegra Kent Remembers a Hairdo Disaster Onstage.” Dance Magazine. Ed. Jennifer Stahl. DanceMedia LLC, 1 Mar. 2011. Web. 6 Dec. 2015. 22. Kirkland, Gelsey. Dancing on My Grave. New York: Double Day & Company, Inc. 1986. Print. 23. Lehmann-Haupt, Christopher. “Opal Petty, 86, Patient Held 51 Years Involuntarily in Texas, Dies.” The New York Times. Ed. Dean Baquet. The New York Times Company, 17 Mar. 2005. Web. 8 Dec. 2015. 24. “Love on the Dance Floor.” Dance Moms. Abby Lee Miller, Mackenzie Ziegler. Hearst Corporation and Walt Disney Company. Lifetime Entertainment Services, New York, 31 Aug. 2011. Television. 25. Lucky Thirteen: A Dance Video. Dir. Bunny Kinney. Perf. Maddie Ziegler and Chloe Sevigny. i-D on YouTube, 2015. Film. 26. McCann, Colum. Dancer. New York: Picador, 2003. Print. 27. McKinley, Jesse. “Fierstein as Tevye: Sounds Crazy, No?” The New York Times. Ed. Dean Baquet. The New York Times Company, 2 Jan. 2005. Web. 8 Dec. 2015. 28. Miden, Eliza Gaynor. The Ballet Companion: A Dancer’s Guide to the Techniques, Traditions, and Joys of Ballet. New York: Fireside, 2005. Print. 29. Miller, Linda G. Classical Ballet Terms and Definitions. Fairfax: George Mason University, 2011. PDF File. 30. Pierpont, Julia. Among the Ten Thousand Things. New York: Random House, 2015. Print. 31. Queen— Bohemian Rhapsody Reinterpreted— English National Ballet. Dir. Dael Poulter. Perf. Erina Takahashi and James Forbat. Official Queen Channel on YouTube, 2015. Film. 32. Revolutionary Changes in Regency Dance. Old Dominion Regency Dancers. Dir. Jubilee Miller. The Jane Austen Society of North American: Nebraska Region. W. Dale Clarke Library, Omaha. 12 Dec. 2015. Performance. 33. Scholten, Jenny. Day Stripper. Norwich: New Victoria Publishers Inc., 2000. 34. “She’s a Fighter.” Dance Moms. Abby Lee Miller, Mackenzie Ziegler. Hearst Corporation and Walt Disney Company. Lifetime Entertainment Services, New York, 24 Aug. 2011. Television. 35. Shipstead, Maggie. Astonish Me. New York: Vintage Books, 2014. Print. 36. Singin in the Rain. Dir. Gene Kelly and Stanley Donen. Perf. Gene Kelly, Donald O’Connor, and Debbie Reynolds. Loew’s Inc. 1952. Film. 37. Speck, Scott and Evelyn Cisneros. Ballet for Dummies. Hoboken, Wiley Publishing Inc., 2003. Print. 38. 38.“Stealing the Show.” Dance Moms. Abby Lee Miller, Mackenzie Ziegler. Hearst Corporation and Walt Disney Company. Lifetime Entertainment Services, New York, 3 Aug. 2011. Television. 39. Tanaya, Siera. Adult Ballet. Adult Ballet. 10 Dec. 2015. Web. 19 Dec. 2015. 40. ---. Adult Ballet: From Beginning to Intermediate. Singapore Adult Ballet, 2014. Print. 41. “The Competition Begins.” Dance Moms. Abby Lee Miller, Mackenzie Ziegler. Hearst Corporation and Walt Disney Company. Lifetime Entertainment Services, New York, 13 July 2011. Television. 42. The Nutcracker. Ballet Nebraska. Dir. Erika Overturff. Perf. Katie van der Mars, Erin Alarcon. Orpheum Theater, Omaha. 6 Dec. 2015. Performance. 43. “There’s Only One Star.” Dance Moms. Abby Lee Miller, Mackenzie Ziegler. Hearst Corporation and Walt Disney Company. Lifetime Entertainment Services, New York, 5 Oct. 2011. Television. 44. Tobias, Tobi. “Ballet Galore: Week #5.” Seeing Things. Ed. Douglas McLennan. ArtsJournal, 31 May 2004. Web. 10 Dec. 2015. 45. ---. “Going to the Wood.” Seeing Things. Ed. Douglas McLennan. ArtsJournal, 9 Jan. 2005. Web. 10 Dec. 2015. 46. “When Stars Collide.” Dance Moms. Abby Lee Miller, Mackenzie Ziegler. Hearst Corporation and Walt Disney Company. Lifetime Entertainment Services, New York, 10 Aug. 2011. Television. 47. “Wildly Inappropriate.” Dance Moms. Abby Lee Miller, Mackenzie Ziegler. Hearst Corporation and Walt Disney Company. Lifetime Entertainment Services, New York, 20 July 2011. Television.